Pink tends to be a tricky color many love it and see it as a modern color while others detest it and think “tacky” when they see it. Not only that, but when it comes to decorating with the color pink there can be a learning curve. As if you decorate with pink and go a bit overboard you run the risk of having your room like Pepto-Bismol throw up all over it. However, with just a little bit of direction pink can actually be chic and trendy. Following these trendy ways will help you see pink décor in a whole new lighting. 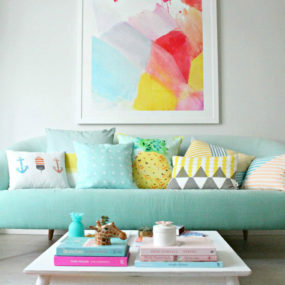 Pastel pink is the perfect shade for your sofa in a room. Combine it with multiple shades of white to help the color stand out. Keep the rest of the decor as simple as you can. Metallics are also excellent to have in the space they add an extra layer of intricacy. You don’t have to be overly girly to have a bold statement piece in your living room. In fact, a pink sofa works best when it is an unexpected item. It adds a modern and trendy twist to any décor you may already have. 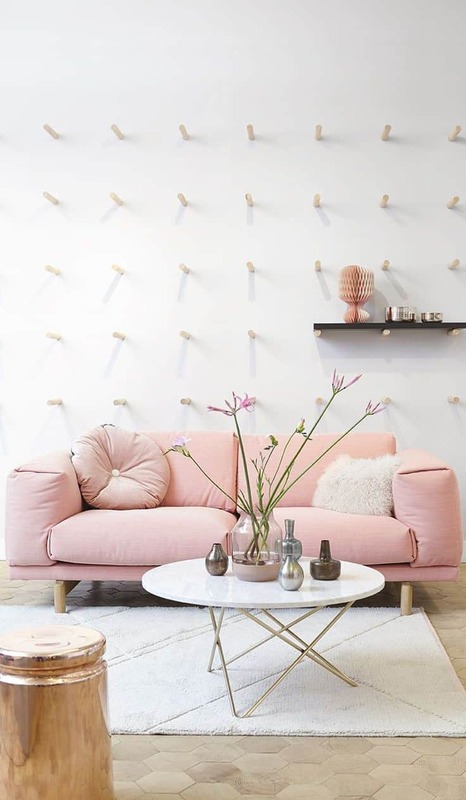 For the best effect have your pink sofa be the star of the show. Or even consider having a pink sofa in an intricate shape. A dark sofa paired with soft accent pillows is an excellent way of maintaining the entire space pulled together while still having a soft touch of color. The great aspect of the color pink is how soft it can appear when it is paired with dark colors. Accent pillows are always great to have on your sofa as they can be switched whenever you would like. If you are looking to add accent pillows in a powerful color pink is the way to go. Pink adds the right amount of color while being fun, fresh, and trendy. Combining different shades of pink together does not have to come in a drastic contrast. It can actually work well when you pair different shades of soft pink together. 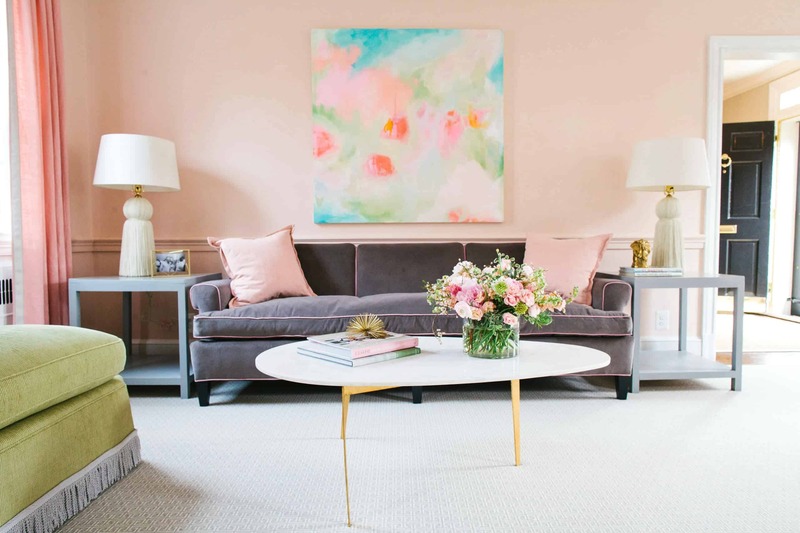 Mixing and matching the different shades of soft pink can help you have a softer contrast between the two. Don’t settle for one shade mix and match different shades of pink of an upscale look. Choose your favorite shade of pink and mix it in fuchsia or pastel pink in different shapes and décor accessories. This will create a completely new and unique room. 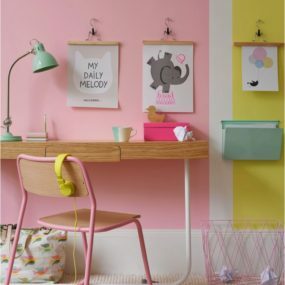 If you are unsure if you want to paint all your walls of a room pink consider painting only one wall of the room pink. This will give the space a punch of color while still being monotone and neutral. 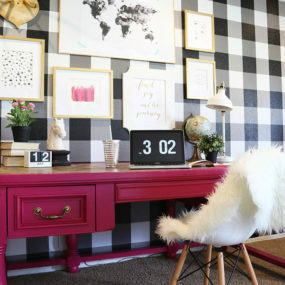 Keep the rest of the decor in dark colors to let the pink wall become the main focus. Since there is a diverse and extensive amount of different shades of pink. Some are bold some are calm and others are even soothing. Therefore, making one wall of a room a shade of pink creates a powerful statement depending on the shade you select. 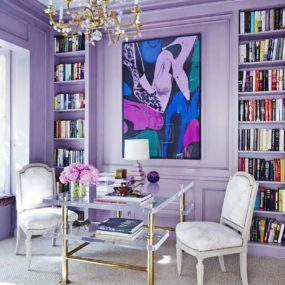 Select a bright and bold color for a neutral room that needs some sprucing up or select a soft pastel pink for a room that needs a hint of color without being a statement piece. When in pink choose dusty pink. 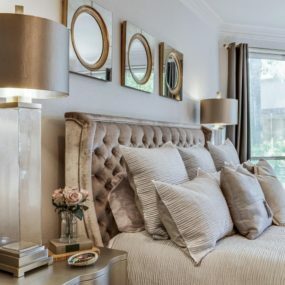 Dusty pink is one of the most versatile colors you can incorporate in your home. It soft yet feminine and powerful all at the same time. This color is trendy and works well with patterns and prints as well as other shades of pink. If you have animal print décor in your home the last thing you may think is to add a shade a pink. On the contrary, that is exactly what you want to do. Animal print is pink’s best friend. The work extremely well together and add a lively feel to any space they are paired. 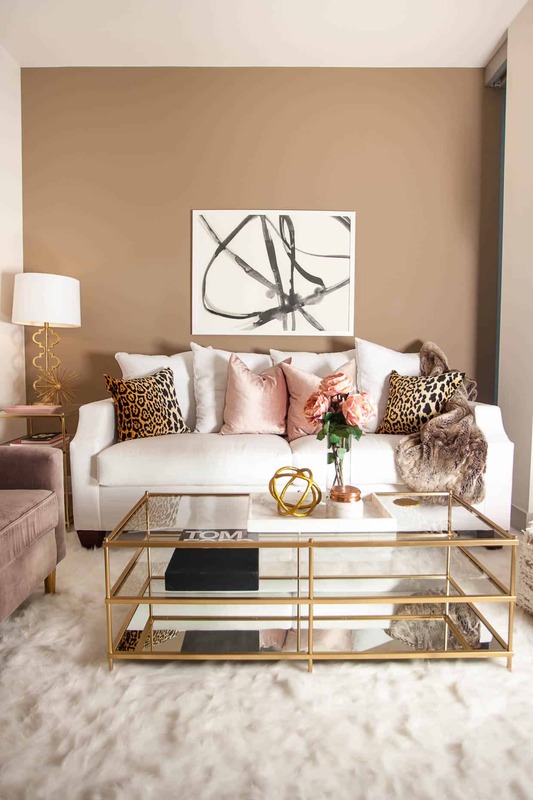 An animal print rug with pink cushions could be exactly what your living room needs. Pink drapes may be exactly what your neutral room may need. Choose a soft pink for a touch of softness and a more powerful pink for a bold appeal. Keep the rest of the room soft and neutral for the best results. Curtains are great for making a statement and brightening up a room. If you want to add some texture and color to a room change your curtains for light pink ones. 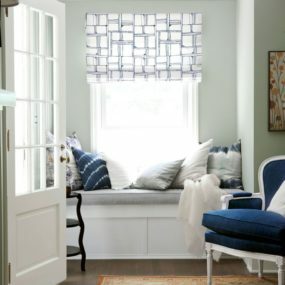 This will give softness to the space while still providing color. If pink appliances seem to be too much for you to have in your kitchen you can choose to paint your cabinets pink instead. 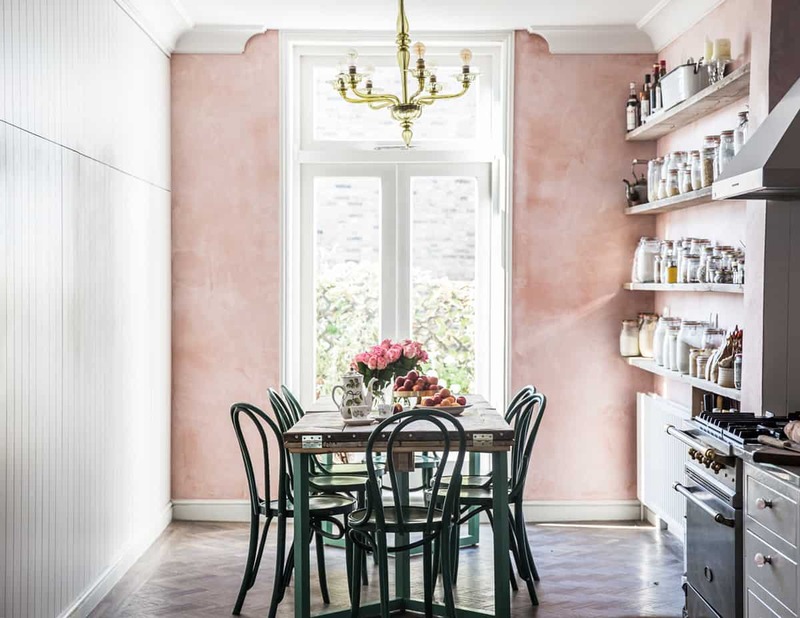 Pink cabinets bring a feminine touch to the kitchen space. It also adds a calming effect. 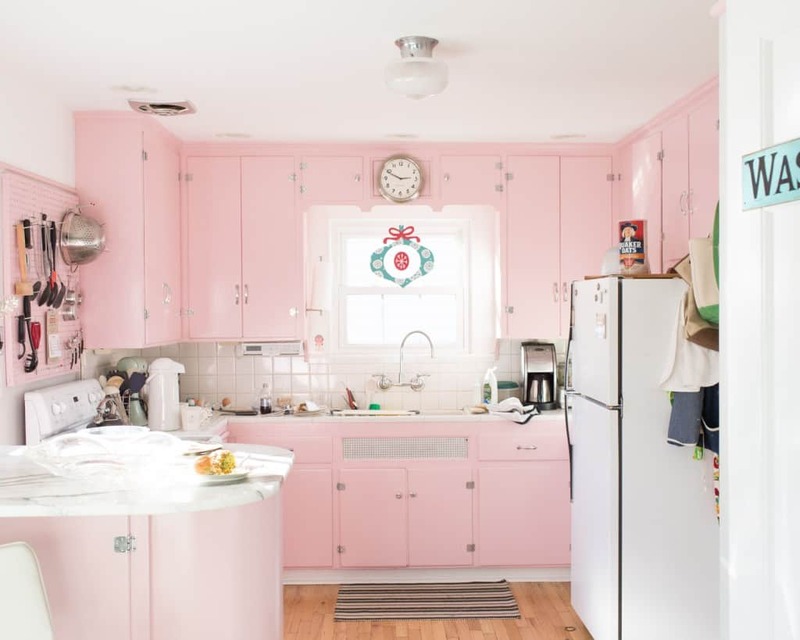 Pink in your kitchen may seem like a bad idea. But, it’s actually a trendy one. Retro appliances are being created in funky colors such as pink, mint, and even turquoise. Not only are retro appliances on trend, but having them in pink is even trendier. Choose different shades of pink for your flower arrangements as well as add white ones to make the different shades stand out. Choose bolder shades of pink in darker rooms to help bring the rooms back to life. Pink flowers are the ultimate pick me up. If you do not want to full-on embrace the color pink in your décor adding pink flowers is the way to go. 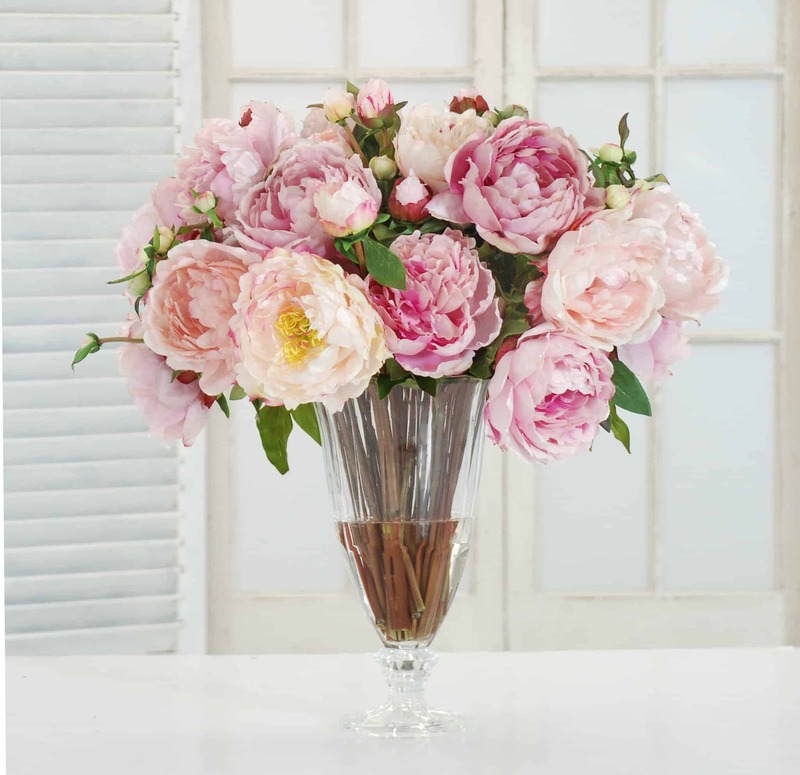 Fresh pink flowers will reawaken your space and give you a soft pink touch. Also, keep in mind, fresh flowers can be placed anywhere you would like. Therefore, you will be getting the pink effect anytime and anyplace in your home. 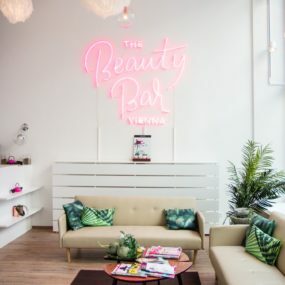 Pink neon signs don’t only belong in the bedroom. In fact, they can be placed anywhere in the home. Place them in the living room or even the bathroom for a trendy twist on the decor. Celebrity homes tend to always feature a neon sign somewhere in their home. Be bold and trendy by having a pink neon sign in your bedroom, living room or even in your kitchen. They are great for creating an intricate focal point. 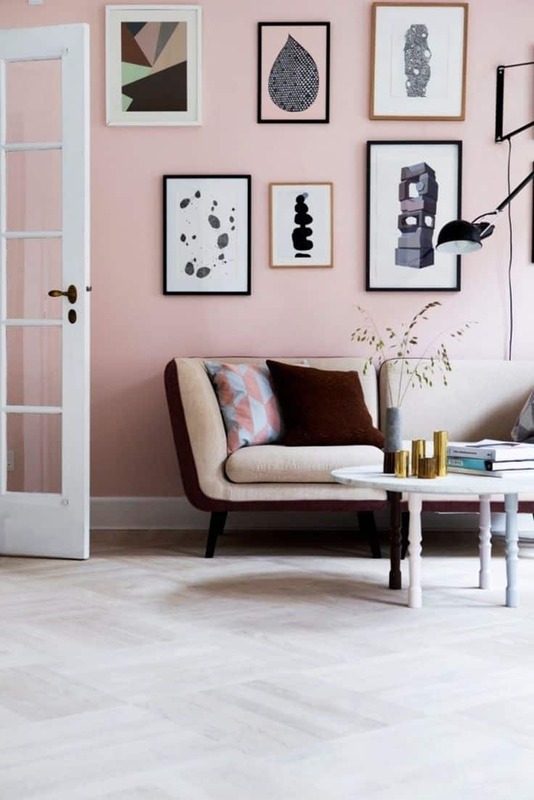 Bring the entire look together by having pink art pieces that match your decor. Or consider making them the main centerpiece for an eye-catching upgrade. Choose art pieces that make your decor appear fresh and modern when it is all put together. Art pieces are always great to have in the home they add a touch of customized personality. They always say “the pieces of art in a home says a lot about the owner”. Therefore, consider having pink art pieces that enhance the space and add a touch of your personality as well. 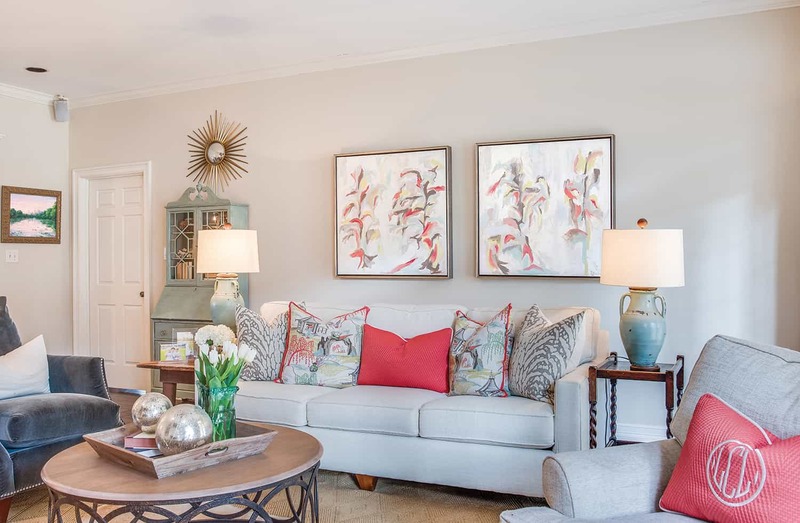 Make your art pieces the center focal piece of the room it is placed in. Pink may not be the first color you think of when you decide to add color to your home. 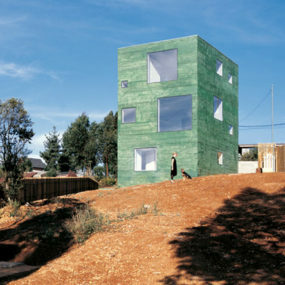 However, when it is done tastefully it is trendy and chic. How will you be adding pink to your home décor? Let us know below.